Next: eSports - A Brief History, And Where Next? They came out, attracted a small audience and at best continued to exist for new fans. At this time, the best MMORPG overgrown with millions of new fans. Thanks to the release of 2 add-ons “Legion”, “Battle for Azeroth” over the past three years, the number of players has increased by a third, and Blizzard Entertainment is reaping the benefits of success. On the game server has already installed the expansion "Battle for Azeroth" with the current patch 8.0.1, which brought major innovations. The main one was the raising of the maximum level of the character to 120. The plot tells about a new war between the Alliance and the Horde, the leaders of the factions remembered the old grievances and decided to enter into a fighting confrontation. Against this background there is a separation of the factions during the leveling 110-120 on two new continents - Kul-Tiras and Zandalar. The new content in the form of the War Campaign provides the story campaign associated with this confrontation. The legion artifacts are no longer relevant; they are replaced by the Heart of Azeroth. This necklace is associated with a separate story. This item can be strengthened and gives other things additional effects. 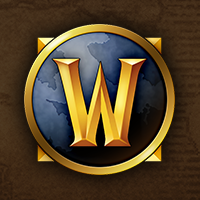 Other important innovations include the introduction of 4 new Allied races and the "Warfronts" game mode. World of Warcraft has an internal store that is an important part of it. Here, users are offered services to change their character. For a specific amount, you can choose another gender, race, faction and name of the hero. In connection with the Pay-for-Play distribution scheme, game time is sold in the store, without which it will be impossible to continue the adventure. If players do not have time to level up the character, then they can order an instant increase to level 110. Separate sections of the store are devoted to mounts, pets, and transmogrification items. It is impossible to get them inside the game on your own. Not all services are available in the game store; some of them cannot be obtained without third-party assistance. We are talking about purchasing all the equipment after one trip to the raid, the choice of priority for a particular type of things or guarantee yourself a mount that will fall from the boss. You can choose also to kill only the main boss of the raid, a quick PvP arena boost or rated battlegrounds, and so forth. Operators of the Bestboost.Club service are always in touch and ready to listen to any suggestion about the site or order. The administration of the service is a legal entity, and only reliable methods are used for payment. That is why this site is used daily by hundreds of people. Read reviews and join them.